Yes, yes, I know! I already did a post on the Smart Extruder, and the Smart Extruder Plus! So why am I doing ANOTHER post on the Smart Extruder +? Well, the answer is because of a stereotype. Everybody assumes that because the first Smart Extruder was a total flop, that the new one is going to be terrible as well! However, the thing is, most people are completely misguided. The new Smart Extruder + is a great extruder. It almost never clogs (like the old one did) and it has many “smart” features. For example, if your filament does clog (which it probably won’t) the extruder will stop the print, and give you a warning. These notifications have gotten smarter too! Occasionally the old smart extruder would send you a faulty notification, and you would just become annoyed that it stopped the print. Well not anymore! Makerbot also tested these extruders, so you know they are reliable. In fact, this is the biggest large scale test Makerbot has ever done! The whole reason I created this post was to clear Makerbot’s name. In no way was I endorsed by Makerbot, but I would like to show that their new Smart Extruder is actually a great extruder! And because the 5th generation Makerbots are okay (except for the OLD extruders) they will now become excellent printers equipped with these new (and slightly more expensive) Smart Extruders! I personally can’t wait to see what these new extruders are capable of, and I can’t wait to see them produce some Epic 3D Stuff. Generally I try and post every Sunday, though the type of post depends on the week. I will post from my "3D Printing" series every other Sunday, and on the Sunday in between I will post a review, thought, etc. Now that I own a Lulzbot Mini, I can print amazing objects for you! (Courtesy of 3D Hubs). Just click on the link below to get started. I would be happy to print your object! Thanks for supporting my Hub! Now that I own a Lulzbot Mini, I can print amazing objects for you! (Courtesy of 3D Hubs). Just click on the link below to get started. I would be happy to print your object! Copy this link: http://bit.ly/Order3DHubs Thanks for supporting my Hub! 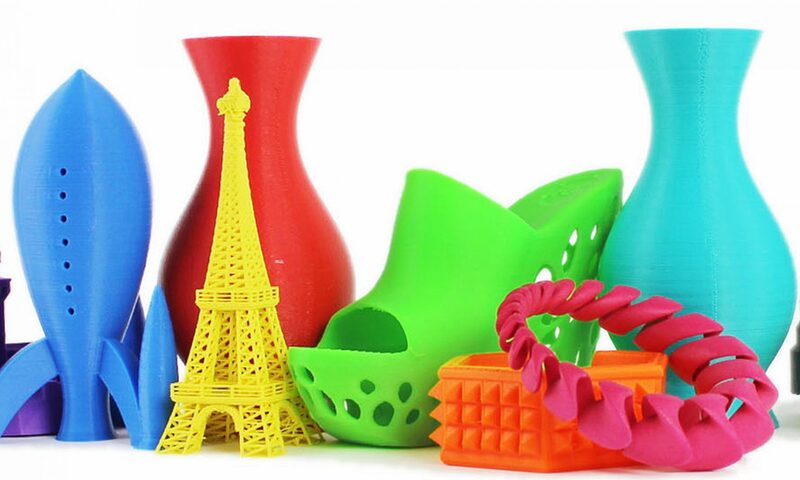 3D Printing Post Series: The Eiffel Tower!